Well, I bought a Nook. Yep, after my big ole diatribe about how I'm not jumping on that wagon...I jumped on the wagon. 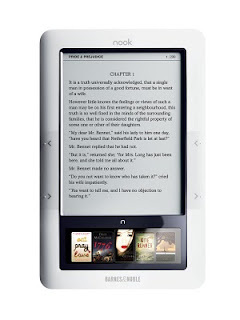 Originally, the Nook was $259. I had started looking at it seriously, though, when Barnes and Noble tacked on a $50 gift card with every order. Then, I suddenly got a panicky feeling, as though I'd be making a huge mistake by buying it. I looked at a Kindle again. Nope, it wasn't that. I just wasn't ready. 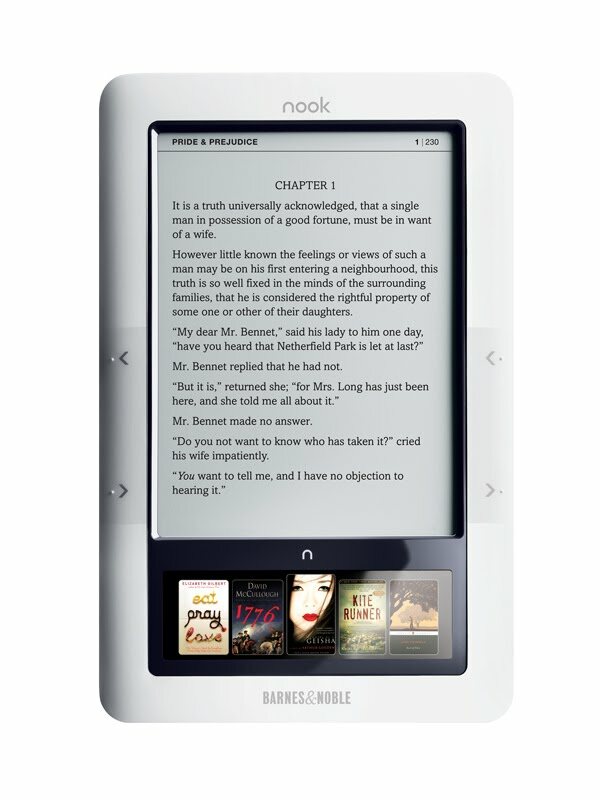 Yesterday I got an email from Barnes and Noble regarding the Nook and it's new price. The one that had originally been $259 is now $199. And they added another one--the only difference being it's Wi-Fi only rather than 3G...and it's $149. Yes, I caved! For that price, come on! Who can blame me? I have a Nook and you don't :P.
Lol! I love it. My 12 y/o just spent her hard earned money on one too. It was her choice, and she wanted it. Now myabe she'll give me my Kindle back! Well, regarding ereaders the point is that they are NOT backlit, because that is how a computer screen is and that is hard on the eyes. If you want backlit, you'd probably prefer an ipad. Or you can download Kindle or Nook software onto your PC for free. Enjoy, like you said: You have one, I don't. and I'm heading out to England. . .so the long flight would do well with a nook since my computer only holds power for, like two hours, LOL. Ohhhh......The nook is so pretty. . . But I LOVE holding a real book in my hand. I BOUGHT A NOOK!!!!!!!!!! Yep. Last night. So far, I'm LOVIN' it!!! !